This is an hilarious kata game you can play in your kids’ classes during school break. First you’re going to need 3 or 4 soft inflatable balls. Now split your class into two evenly numbered teams. Team #1 will perform a kata of your choice to your count. Team #2 will attempt to distract team #1 by throwing the balls at them while performing their kata. Team members who make a mistake, are eliminated and must sit down at the edge of the mat. The balls may be gathered and thrown again and again until the kata is complete or all opposing team members are eliminated. 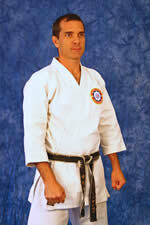 For each team member who successfully completes their kata, they earn a point for their team. After the kata is complete, teams switch roles. The team with the most points wins the round! No excessively hard head shots are tolerated. If so, the team member who threw the ball must sit down and the other team receives a bonus point. It seems there’s a party, a graduation, a field trip… you name it. It’s all happening this week. Kids classes are turbulent both in numbers and emotion and the lure of summer vacation is stealing students’ attention like thieves in the night. Lack of sleep seems to be the culprit. Answers of “5am” and “6am” seemed to be the yawn norm. No wonder they were lethargic and distracted by 6pm, after a full day of school and activities. It’s a physiological fact that lack of sleep, puts you in an un-resourceful (and sometimes resentful) state. And kids don’t have the luxury of coffee to combat it like we do. In other words, when we FEEL sluggish performance suffers. Especially cognitive processing. So my advice to you for the next couple of weeks (or any time with a transition from one schedule to another) is to LOWER your standards as a teacher. 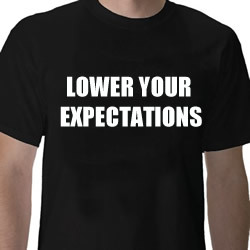 Lower your expectations of your students. Aren’t karate-ka supposed to give 100% effort every time? Isn’t that what separates karate-ka from non karate-ka? And as a teacher of karate, shouldn’t I demand it of my students… every time? As romantic as that might sound, it’s an idealized view of reality. The truth is if there is no gas in the car it doesn’t matter how much you WANT it to go up the hill, it’s not going to happen. You’ll drive yourself nuts trying to get your students to perform at their best this week, and probably next week too. And instead focus on revision and things they already know. Focus on drills and exercises that are more fun and physically demanding. Make them sweat. Make them work hard and don’t be overly concerned with perfect form. Your students will be happier too. Then once the dust settles and order is restored, you can get back to kicking their @#$%!